Here at MindMed we receive numerous questions from people regarding not only natural treatments of ADHD such as ADHD Treatment, but also plenty with respect to medication specifics as well. In our ADHD Medication FAQ series, we try to address the most frequent of these. Of course when considering trying a new medication, whether switching from another prescription or starting medicinal treatment all together, it is important to be well informed when discussing options with your medical practitioner. Hopefully this will help you in that endeavor. 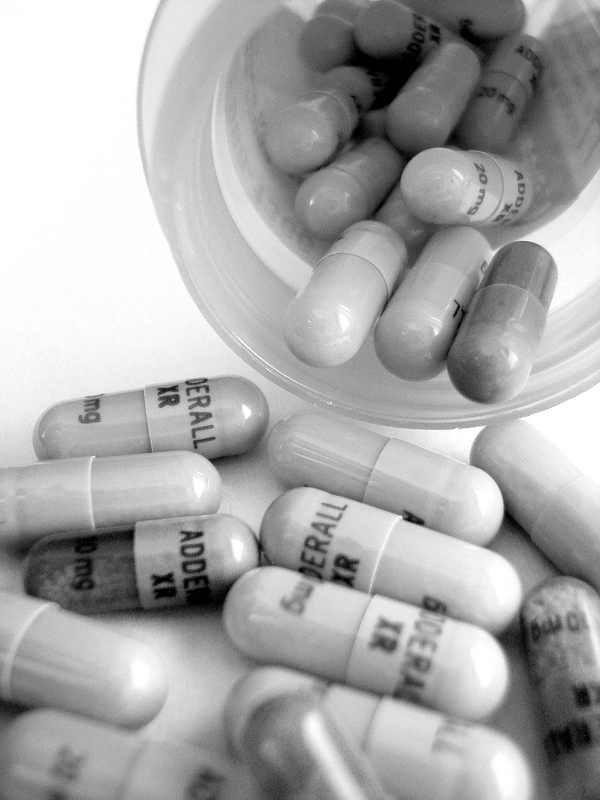 Adderall is a relatively new drug in the fight against ADHD. Approved by the FDA as recently as 1996 in the USA, it combines four distinct amphetamine salts (Dextroamphetamine Saccharate, Amphetamine Aspartate, Dextroamphetamine Sulfate, and Amphetamine Sulfate) to combat symptoms of the disorder. 2. What’s the difference between Adderall and Ritalin? The technical difference, should you be interested, can be found here. In terms of how the medication is felt by patients however, which is what most are really asking, is that some claim Adderall tapers down, while Ritalin drops off. 3. How do I take Adderall? Simple, tablets are taken (orally) once or twice a day, depending on the dosage and tablet size prescribed by your doctor. Adderall tablets vary in size from 5mg to 30mg. 4. Can I take Adderall? For the large majority of people, yes you can. It is approved to be prescribed to individuals aged 3 and over, but there are certain restrictions, such as hypertension and bipolar disorder. The former should avoid Adderall all together, even if the case of hypertension is mild, and the latter have been shown to exhibit symptoms of mania when taking amphetamines (the family of drug to which Adderall belongs). 5. Does Adderall have any side effects? Like all drugs, Adderall is not without its side effects, both serious and mild, and common and uncommon. Among the common are issues such as restlessness, headaches, weight loss and dry mouth. These are usually short lasting and not serious. More infrequently effects such as euphoria, constipation and/or diarrhea are felt. If any of these side effects occur, be sure to let your medical practitioner know immediately. Adderall has the potential for addiction, but this is mostly among people who do not have ADHD. 7. Is Adderall the right medication for my child? To truly know the answer to the question, one must consult a medical professional. To help you become better informed before that meeting however, be sure to read message boards of people with ADHD who have taken both, as they can tell you from first had experience.